Well, Merry Christmas Early from KTVA once again! For all KTVA PRO Forums students, a gift from Ken Tamplin to you. Many of you have been aware that Ken has been working on new information and lessons to launch his new KTVA subscription program. We had a selection of students Beta Test the lessons and got great reviews and also great suggestions for future content. KTVA was very near to launching this as a subscription actually right about now. So it is being launched right now, but instead of as a subscription, Ken has decided to make it a part of the greater KTVA course. So now this material is an expansion to the existing KTVA Volumes/FREE Bonus material for PRO Forums Students. There will still be even newer, and even greater subscription lessons coming out in the future, so remain ready for that, when it comes. But for now, what is being provided is Divas and Dudes versions of all of the KTVA Basics in greater depth, PLUS advanced exercises and instructions on how to exercise and develop your Mixed Voice, how to exercise and find safe Distortion for your voice, Stamina-building exercises and much more! You get to see a student working to understand and implement the lessons Ken is giving them. It's much the same as if you were in an intensive one-on-one training with Ken, in-person! This is the stuff you've been waiting for, so What are you Waiting for? If you're a KTVA PRO FORUMS Student, Go now, do not wait, to the Forums category called PRO VIDEOS and get busy growing your voice with about 70 new videos. Be prepared to start practicing, and I MEAN PRACTICING! That's where your real results will come from. These videos are top!!!!! So many questions answered, and what I really appreciate it`s not edited (with few exceptions), so we can hear and see all the attempts and fails, followed by corrections and great notes. It`s very similar to the skype sessions. I`ll make watching these as a part of my vocal routine. This really is very cool. I've already watched about a half a dozen clips, all of which I've found extremely helpful. Thank you so much, KTVA!! Haven't even started watching, but just wanted to thank Ken in advance for making these available!! I watched the entire set of DUDE videos. Excellent information in there, like that it was not "doctored up" to look perfect! Will now watch the entire DIVAS video set, to see what else I can get from it! Wow this was beyond helpful! Thanks Ken and Bob! And as rcrosier commented, it's especially cool that nothing was 'doctored up'. The thanks all belongs to Ken. These lessons have the "secret sauce" that no other lessons I've seen have. Yes. You get to Witness the LEARNING PROCESS. You can RELATE TO when the student first doesn't "get it" and then the spark arcs across just the right synapses and ZAP!!! It's also comforting to know that even accomplished singers like Adam and Gabriela have to work at it before sounding like a million bucks on the harder stuff that is new to them. It's OK to not "get it" at first... Just keep applying the techniques, give it time and intense focus/attention/and effort. Watch the Videos again and again and practice with your own voice as you do so. You WILL get results. Some singing lessons shoppers try to do price comparisons and complain that KTVA is just too "expensive". I say that KTVA is "EXTENSIVE". It is an incredible bargain, and frankly, quite underpriced for what you get. The original 3 KTVA Volumes are still worth every penny of the full price, without the PRO Pack bonuses and now the In-Depth Basic and Advanced Lessons with Dude and Diva student demonstrations! Just look at the incredible amount of quality, in-depth instruction you get from KTVA. There is NOTHING out there that compares. You get what you pay for and MORE from KTVA. This is HOW TO SING BETTER THAN ANYBODY ELSE. If you're fine with sounding somewhat mediocre, like just another voice in a "so-so" choir, being taught by someone who says "all my students all eventually surpass me" or someone who sounds downright embarrassing, if that inspires you, then go right ahead. KTVA is for students who aspire to sing like PRO's. 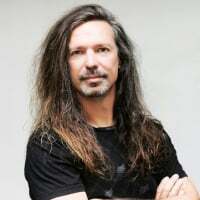 KTVA is for singers and novices who would like to eventually be able to sing practically anything, like Ken Tamplin does. KTVA is a BARGAIN, now more than ever! We seem to be getting a lot of visits to these new videos! We have some busy students doing a lot of learning! KTVA just doubled its content, and quadrupled its value in terms of how-to explanations and DEMONSTRATIONS. So we've had over 300 visits to these updated, new lessons. Is anybody learning anything? How about it? @ Bob: I've gone through upwards of a half dozen so far, and I've found the clips incredibly helpful and informative. My thanks to Ken, et al, for sharing these real experiences with us. Added more breathing through the nose only. It's really great... I will practice with those for about a week or two until I'll remember everything that was said and done ) Is it possible to download it somehow? These are for streaming only. Recently added the vowel transitions/vocal tract shaping exercises to my workouts on top of the chest stretching exercises.